"TRUMPETOUTSIDE" STAINED GLASS WINDOWS WITH CLEMATIS AND TRUMPET VINE FLOWERS AND SWALLOW TAILS CUSTOM GLASS DESIGN CREATED BY JACK McCOY©. 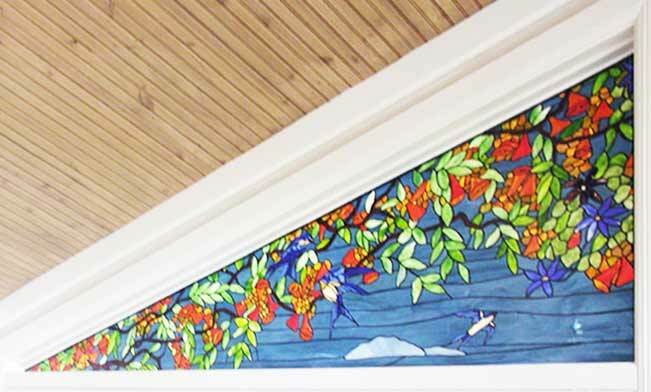 This custom stained and leaded glass window was approximately 84" x 36". 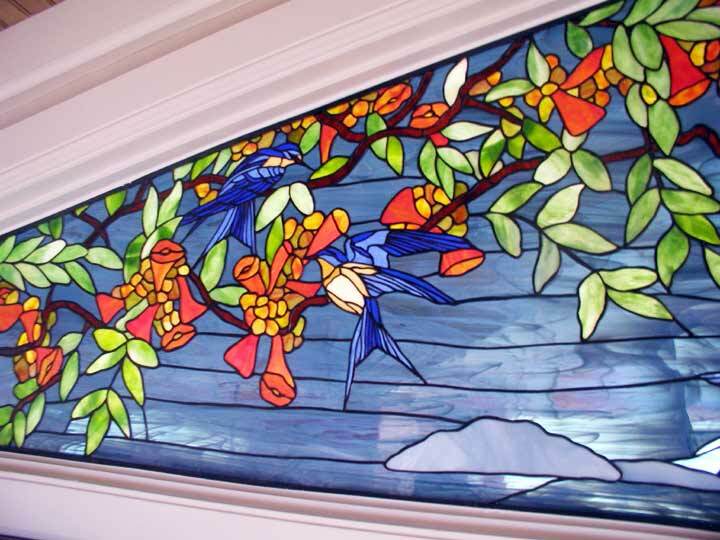 Custom stained glass design window was made for a private residence Horseshoe Bay, Texas. These stained glass trumpet vine windows were of copper foil construction.